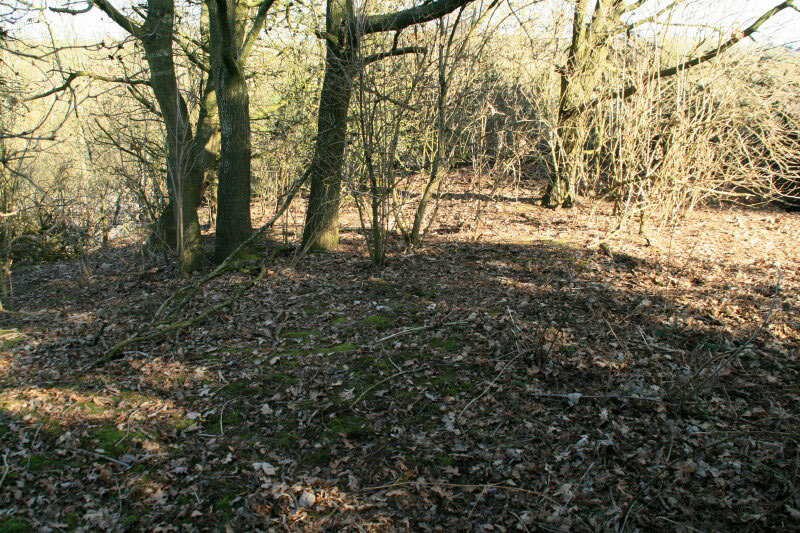 The very overgrown mound is 16 feet high, and is partly surrounded by a ditch. 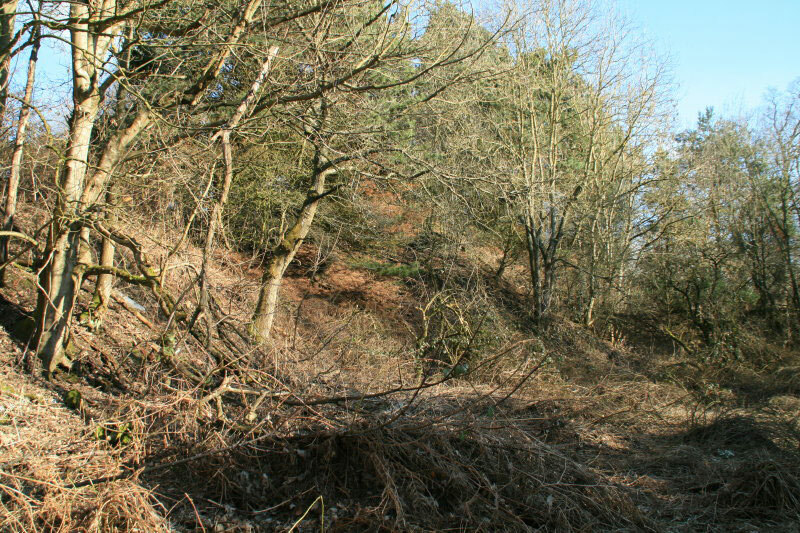 It was probably in use in the 13th century from the pottery remains found there. Private.